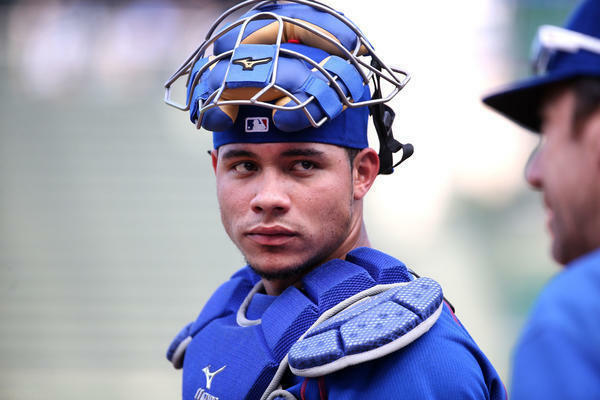 Chicago Cubs catcher Willson Contreras has been fined and suspended for two games for his outburst against the St. Louis Cardinals on Friday afternoon, according to Sahadev Sharma of The Athletic. Contreras is appealing the suspension. Also, right-handed pitcher John Lackey was fined. you’re in reality a just right webmaster. The web site loading velocity is incredible. It sort of feels that you are doing any unique trick. Also, The contents are masterpiece. you have done a wonderful task in this topic! Wonderful items from you, man. I’ve consider your stuff previous to and you’re simply too wonderful. I really like what you’ve received right here, certainly like what you are saying and the way in which through which you say it. You make it enjoyable and you continue to care for to stay it wise. I cant wait to learn far more from you. That is really a terrific website.